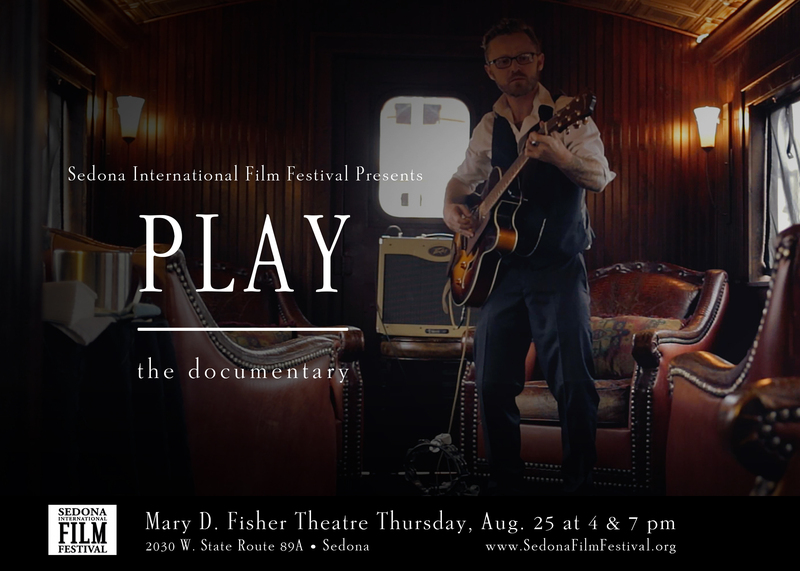 (Sedona, AZ) Sedona International Film Festival joins in the movement to help keep music in schools with a special screening of “Play The Documentary.” On Thursday August 25th, the organization will be hosting two premiere screenings of Play The Documentary. The film features Sedona’s own Brandon Decker of the band decker. who teamed up with upstart documentary filmmaker Matty Steinkamp, who directed and filmed the documentary. In addition to performing in the film, Brandon is credited for co-writing and co-producing the crowdfunded documentary that features musicians from all over the world sharing their passion for music and how music has sculpted their lives. Donations and a portion of the ticket sales from this event will directly benefit music education non profits in Arizona. The film premieres at Mary D. Fisher Theatre August 25th with two screenings. One at 4PM and the next at 7PM. Both screenings will include a full Q and A with our Director and Producer team Steinkamp, Decker, and Perkins.